I posted this recipe a few years ago. 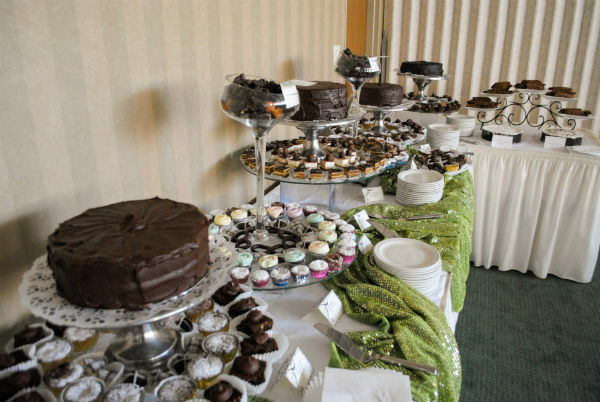 Recently I baked hundreds of them for the Sephardic Tembple Tefereth Israel Sisterhoods’ Chocolate Luncheon that I helped plan. 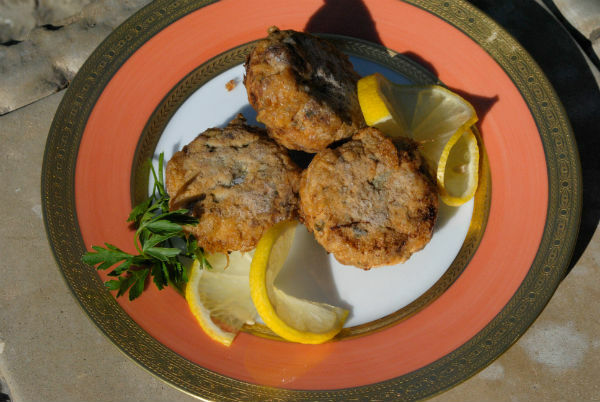 This last week my recipe was published in th Orange County Register by Judy Kancigor. Judy attended the Luncheon and did her own little taste test. Yesterday I baked two batches for my Seders and froze them. I am baking and cooking ahead since we are going on an exciting trip for a few days just before the holiday. Bad timing , however never being one to give up a chance for adventure my husband and I are going on a Costa Rica trip. It requires all of my planning skills to do this since I host both Seders here at our home. So far I have made, these brownies, one brisket, one veal pocket, one texas smoked brisket, the soup, sorbet (mixed berry with rhubarb) and mushroom dumplings. Oh! don’t forget the Kuftes de prassa. 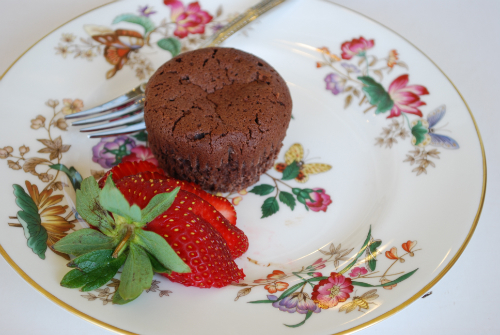 These little cakes are easy to make, delightfully chocolate, dense, and fudgy. I baked them in muffin tins with individual paper liners. Serve them with a little whipped cream, some berries, and a bit of raspberry puree. The recipe can be used year round by changing the matzo cake meal to all purpose flour. For year round use you can dust them with powdered sugar to serve. Powdered sugar is available for Passover, sometimes you have to hunt or ask for it. This recipe makes 18 regular size brownies or 48 mini size using standard muffin tins for twelve or mini muffin tins for 24 count. 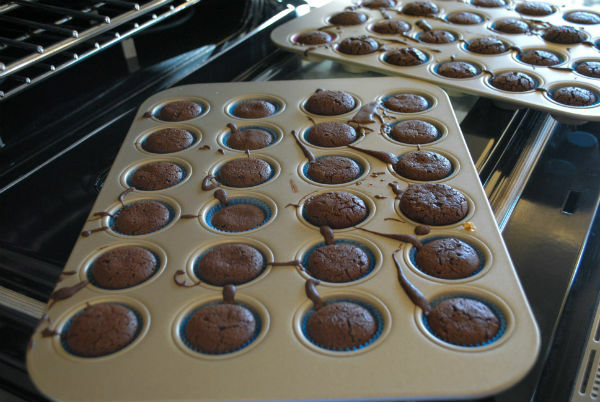 Place paper cupcake liners in muffin tins. 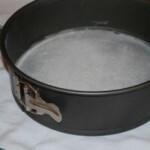 Place a large glass bowl over a sauce pan with simmering water about 1-inch deep. Make sure bottom of bowl is not touching water. Place chopped chocolate and butter or parve margarine in bowl. 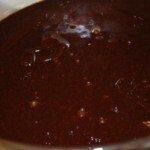 Stir until chocolate and butter are melted, remove bowl from sauce pan. Stir butter and chocolate until smooth. Combine sugar and cake meal together in a small bowl. Stir sugar and cake meal into melted chocolate until well incorporated. Whisk in eggs one at a time until each egg is 100% incorporated. The batter will become shiny and viscous pulling away from side of bowl as you whisk. If at first it looks grainy and weird don’t worry, keep whisking it will change. Once all eggs are whisked in, and chocolate batter is shiny, smooth, and pulling away from sides of the bowl, let chocolate batter rest for 30 minutes on counter. Heat oven to 325 °F . Pour chocolate batter into prepared pans, filling about two thirds of the way up. Do not overfill. For filling mini muffin pans, I found it easier to use a tablespoon measure. I also poured my batter into a large 4 cup glass measuring pitcher to pour batter in to muffin tins. Bake brownies until tops are puffed, a little shiny, and cracking, 20 to 25 minutes for regular size and about 15 minutes for minis. 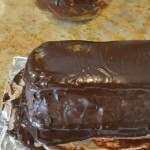 A tester inserted in the center should be almost dry or have barely moist crumbs on it. Remove tins from oven and let cool and then, remove brownies from pans. 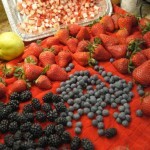 You can dust them with Passover confectioners’ sugar, or serve with raspberry puree. Individual Brownies keep well refrigerated for two days and frozen for up to 2 weeks. How many does the meringue/lemon ring feed.